About us - FORT POLSKA SP. Z O. O. Work on executive and workshop designs involves great responsibility and requires attention to details as well as the ability of tailoring to new conditions. Execution of complex construction projects taught us to respond quickly to variable assumptions and to provide the most favourable solutions in order to efficiently overcome all obstacles. All team members perform their duties honestly and diligently providing safe, innovative and economical solutions tailored to investment requirements. We succeed in executing even the most complicated and labour-intensive projects, due to the real passion and commitment of the entire staff. FORT POLSKA is a structural and civil engineering design office providing services for the building and engineering industry. Regardless of the situation on Polish and international market, the company has always hold a stable position. The high quality of our services is provided by a strong team that reminds unchanged since 2008 and consists of 80 highly qualified employees including 70 structural engineers. 24 of them are certified designers who can perform an individual technical function in building industry in civil engineering and construction speciality. Paweł Lachowicz – Chairman of the Board|The founder of FORT POLSKA – involved in all most demanding projects. The experience and qualifications he gained result from cooperation with prestigious french offices. He has acquired knowledge of norms and designing methods which are used in Western Europe. He specialises in the area of seismic impact on structures and speaks French fluently. 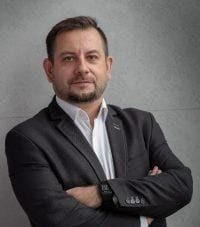 Radosław Michalski – Vice-Chairman of the Board|He is responsible for providing services on the Russian market and has held a position of the branch director in Moscow for several years. 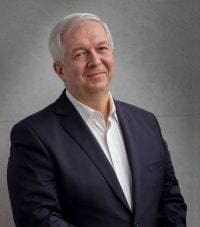 He specialises in foundations and underground structures designing and also has a wide knowledge of the specific character and standards of structural designing in the Russian Federation. He speaks Russian and English fluently. 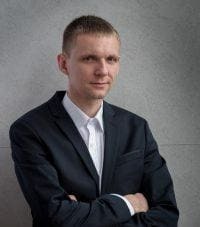 Jacek Stasiłowicz – Investment Director|For nine years he was responsible for the operation of the Russian branch office. Currently he holds a position of the investment director in the main office in Bydgoszcz. He focuses on searching for development opportunities for the company. He speaks russian fluently. Maciej Kwiatek – Technical Director|Project management specialist who is also responsible for the direct contact with the clients. He supervises the entire process of designing operations at every stage of the project development. He speaks Russian fluently. 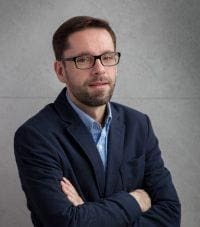 Jakub Nowakowski – Commercial Director, Warsaw Branch Director|Establishes and maintains relationships with the clients. He is focused on searching for technical and practical design solutions. He speaks English fluently. Andrzej Malesa – FORT RUSSIA Branch Director|Supervises the Moscow Branch Office operation. He is responsible for designs developed on the Eastern Market and specialises in designing theories and calculation methods. He speaks English and Russian fluently. The founder of FORT POLSKA - involved in all most demanding projects. The experience and qualifications he gained result from cooperation with prestigious french offices. He has acquired knowledge of norms and designing methods which are used in Western Europe. He specialises in the area of seismic impact on structures and speaks French fluently. 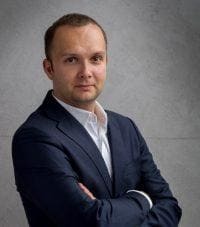 He is responsible for providing services on the Russian market and has held a position of the branch director in Moscow for several years. 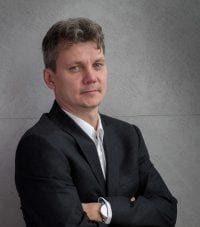 He specialises in foundations and underground structures designing and also has a wide knowledge of the specific character and standards of structural designing in the Russian Federation. He speaks Russian and English fluently. For nine years he was responsible for the operation of the Russian branch office. Currently he holds a position of the investment director in the main office in Bydgoszcz. He focuses on searching for development opportunities for the company. He speaks russian fluently. Project management specialist who is also responsible for the direct contact with the clients. He supervises the entire process of designing operations at every stage of the project development. He speaks Russian fluently. Establishes and maintains relationships with the clients. He is focused on searching for technical and practical design solutions. He speaks English fluently. Supervises the Moscow Branch Office operation. He is responsible for designs developed on the Eastern Market and specialises in designing theories and calculation methods. He speaks English and Russian fluently.